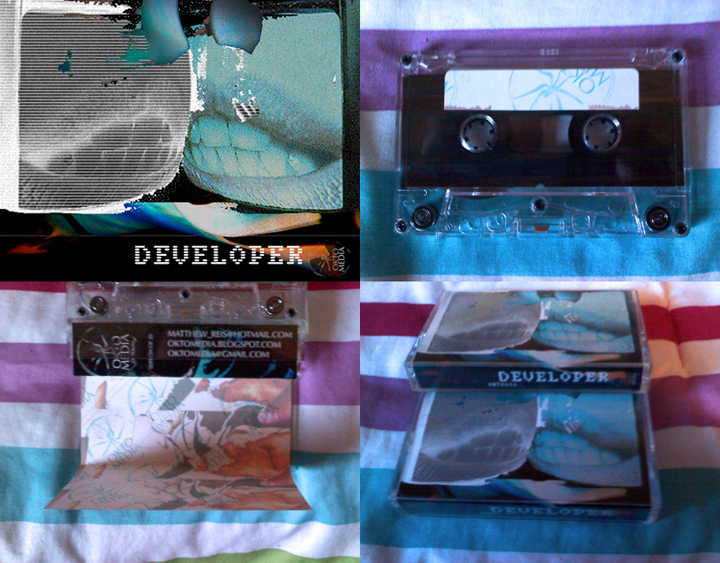 Developer is Matthew Reis of Epicene Sound Systems and Yes, Collapse (both now defunct) and current labelhead of Factotum Tapes. He is best known for performing and recording as the shamanic Teeth Collection, which slowly developed into an entirely acoustic project, but Matt is now dividing his focus to perform his acoustic studies under his birth name, return Teeth Collection to it's previous state of electroacoustics and start intimidating the region under his new(ish) musique concrète project Developer. This is one of my favorite recordings I've heard all year. No title other than the catalog number (as Matt told me he intends to maintain for all Developer releases) this tape is aggressive, energetic analog performance concrète. Recorded and mixed directly into the master, the multitasking quality of the work is very impressive. This is a wonderful example of human consciousness manifested through the flesh of machinery, even though it feels vice-versa through the listening experience. This is a mechanical animal, synthetic fury and adrenaline, reminiscent of some John Weise cut-up recordings; but with a warmer analog quality, especially since the source sounds are all pre-recorded tapes and some minor live mic inputs. Forward propulsion sensation, NEVER STOP MOVING, NEVER STOP STOPPING, energy is key. However, this is a release that has no implied negative narrative, the energy feels somewhat playful. This is the joy of noise; nothing mourned here. Long live the new flesh. Edition of 30. Audio vérité / predatory listening. Field recordings and found media. An old man who records his family members and refers to himself as 'Pop'. Intoxicated musings from friends during shows. Pop's wife plays the organ. A 6-year old Jonathan Enrique Barajas telling Star Wars stories years before I ever saw any of the movies. Dubbed onto found tapes. Master is c90, actual copies vary. For those of you who don't 日本語を話して, the title says "THIS IS NOT A RAY GUN". 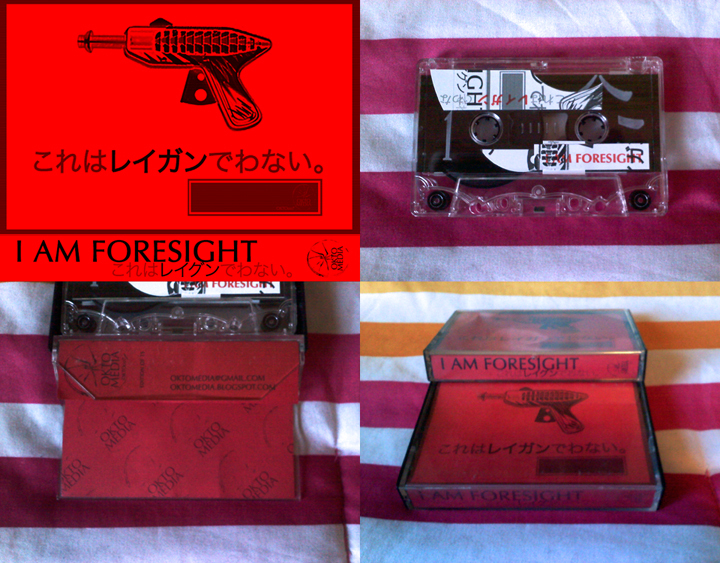 New full-length, bright neon candy hedonistic harsh noise. Happy, happy fast harsh with wallish tendencies. 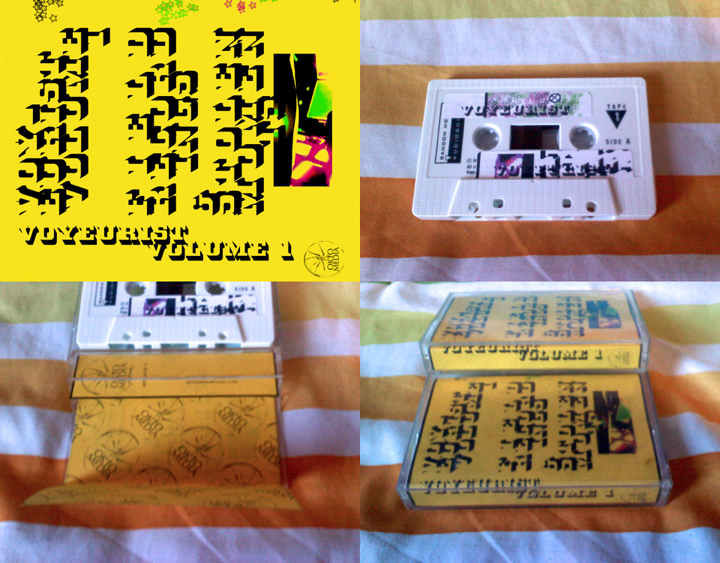 Dubbed onto recycled tapes, so quality is variable and unpredictable. Please email oktomedia at gmail dot com for inquiries. Trades are welcome for consideration, but no guarantees.